Definition at line 1267 of file objidl.idl. Definition at line 1281 of file objidl.idl. Definition at line 1269 of file objidl.idl. 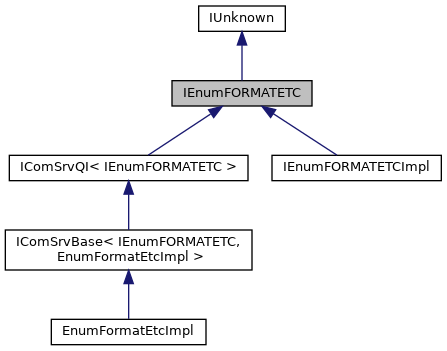 Implemented in IEnumFORMATETCImpl, and EnumFormatEtcImpl.